Refreshing sea breezes in a town overlooking the blue Tyrrhenian coast; a wonderfully preserved historic centre; one of the most important archaeological museums in all of Italy; and above all, an Etruscan necropolis so unique as to be declared UNESCO World Heritage: this is the combination that makes Tarquinia a must-see, one of Tuscia’s greatest treasures. Tarquinia is the home of the Tarquinius dynasty, which later fell under Roman power; but they gave Rome two of its seven kings (Tarquinius Priscus and Tarquinius the Proud: 6th century A.D.). 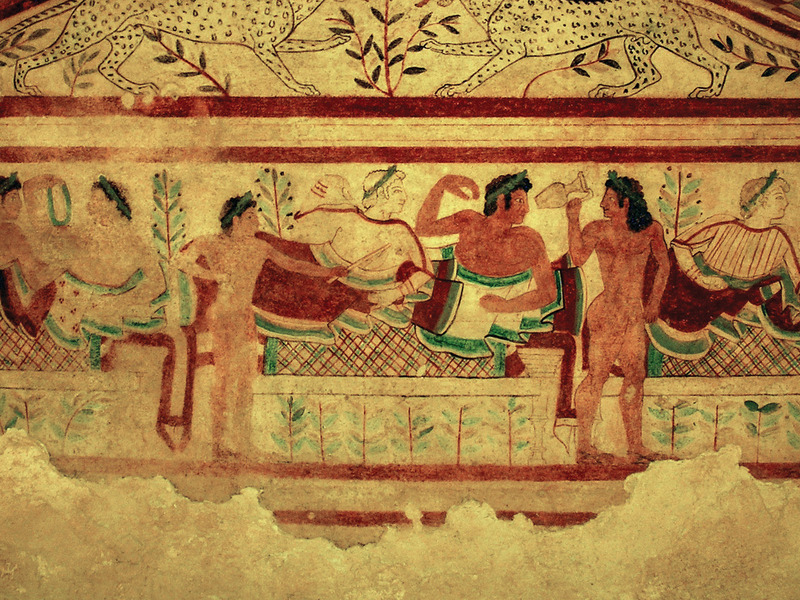 The necropolis, located on the high ground at Monterozzi, includes an astonishing 6,000 Etruscan tombs, 200 of which are finely painted, such as the famous Tomb of the Jugglers and Tomb of the Leopards. Even today, these fine tombs and the artefacts in the Archaeological Museum (including the famous “winged horses”) never fail to amaze the visitors coming from around the world. Tarquinia boasts an extraordinary wealth of archaeological treasures, its town and surrounding countryside making for a truly gorgeous setting.